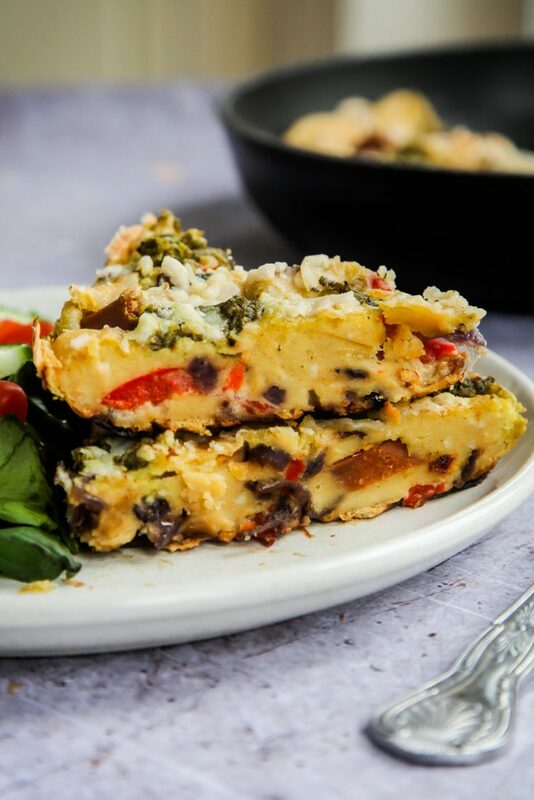 Cheesy, flavourful and moreish VEGAN frittata that you won’t believe isn’t made with eggs. I’ve previously used both tofu and chickpea flour separately to create “eggy” vegan recipes, such as my tofu scrambled “eggs” or my chickpea flour Spanish omelette but today I’m combining the power of both to create the tastiest creation with the perfect texture! 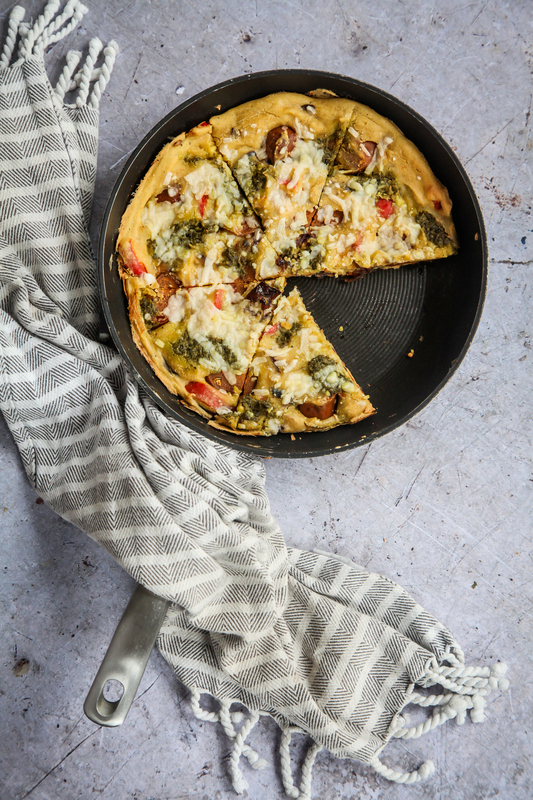 This frittata is made with caramelised onions, red peppers, vegan chorizo (or plain vegan sausages), pesto and mozzarella-style cheese. 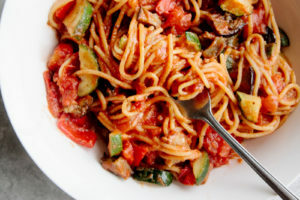 Delicious served both hot and cold, which makes it great for make-ahead meals. If you’re unsure about any of the ingredients, please see below. 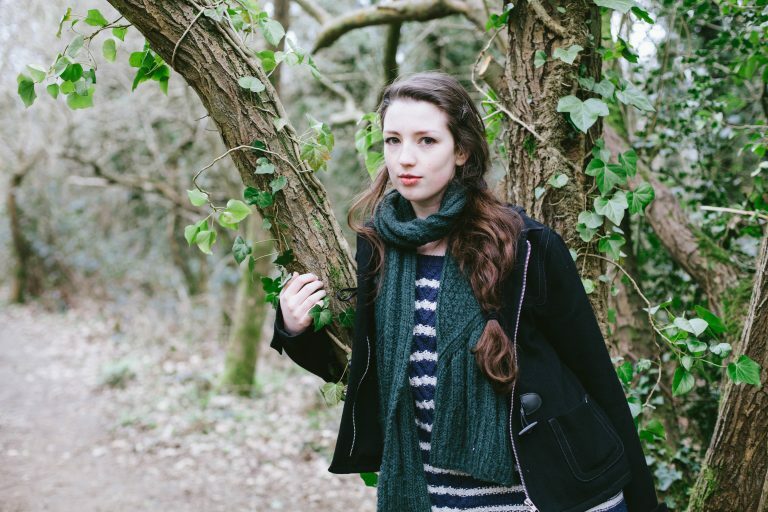 And check out my video too! 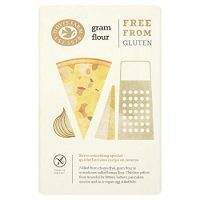 You can use chickpea flour or something called “gram” flour which can be found in any Asian supermarket or in the world food aisle at the supermarket. It’s super cheap too! 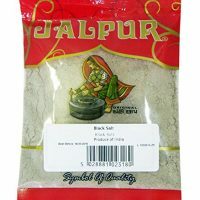 Another important ingredient, though admittedly not super easy to get hold of, is black salt (aka ‘Kala Namak‘). You can find this in health food shops, Asian supermarkets or online and trust me – it’s worth finding if you can. It smells terrible but creates the perfect eggy flavour. The recipe is still tasty without though, so don’t worry too much if you can’t find it. I used Wheatly’s seitan chorizo which tastes amazing but have also seen Linda McCartney do frozen chorizo sausages now. 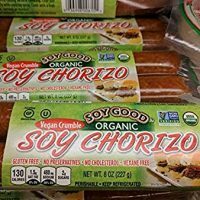 But don’t worry if you can’t get hold of vegan chorizo, you can simply use ordinary vegan sausages with a bit of smoked paprika (which you can find in any supermarket). Vegan cheese is easy to find nowadays but you can also leave this out if you like. 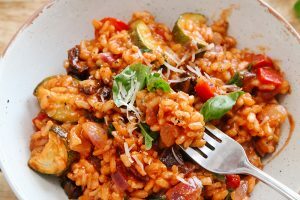 I love Follow Your Heart’s grated Mozarella which melts nicely but you can also use a few dollops of vegan cream cheese or grate a block of cheddar-style. Nutritional yeast is optional but always improves the flavour. You can find it in most supermarkets now or health food shops or online. It’s deactivated yeast that gives food a naturally cheesy flavour and it’s really good for you too! 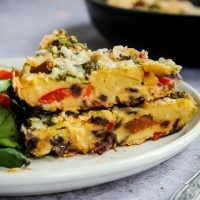 You won't believe this frittata is made without eggs! Filled with caramelised onions, red pepper, vegan chorizo, pesto and mozzarella-style cheese. 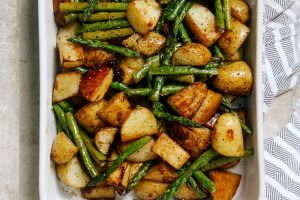 Add the olive oil to a non-stick frying pan and sauté the onions for a minute, before adding the balsamic vinegar and sugar. Fry on a medium heat for 5 minutes until the onions start to turn sticky. Add the red peppers and cook for a further 5 minutes, until caramelised. To make the "eggy" mixture, simply add all the ingredients, except the cheese to a food processor and blend until smooth. You can also use a hand blender. Pour the eggy mixture into the frying pan with the onion and pepper. Stir gently to combine and smooth the mixture to create an even layer. 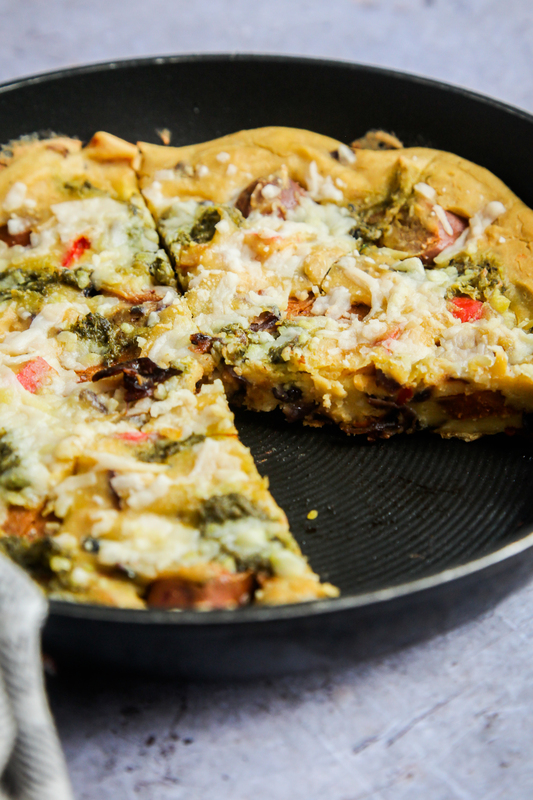 Slice the vegan sausage into 1/2 inch slices and add to the top of the frittata. Dollop a few teaspoons of the pesto and sprinkle the cheese on top. Transfer the pan to the oven to cook (make sure it's oven safe!!) for a further 20 minutes, until the cheese has melted and it's golden brown on top. 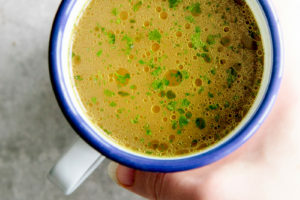 Serve straight away or keep in the fridge for up to 2 days and eat warm or cold. Enjoy! 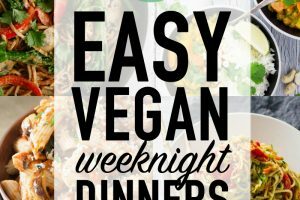 *You can use plain vegan sausages and cook with a little smoked paprika. I used cooked seitan chorizo sausages from Wheaty. 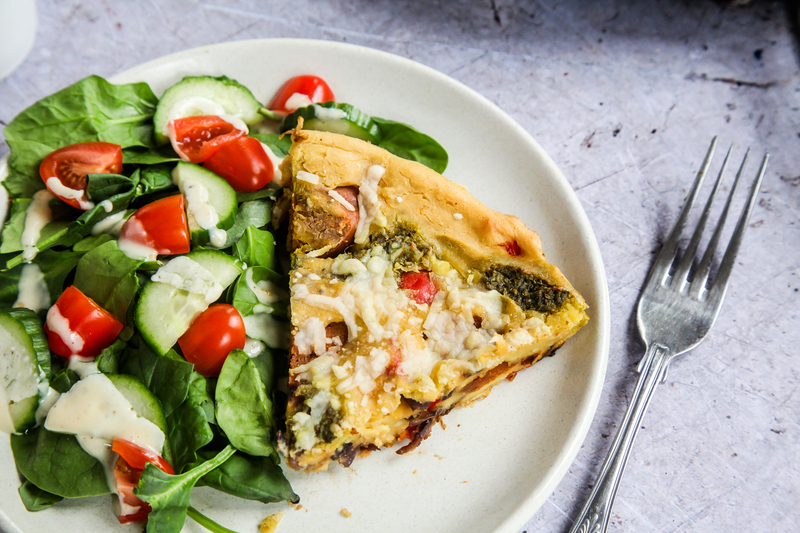 What are your favourite fillings in a frittata or quiche? Hey Aimee, It looks delicious, pretty and easy. if I don't use Olive oil, is it test well?